Jessixa Bagley is an author and illustrator originally from Portland, Oregon. She spent many days in her childhood combing the Oregon Coast for the perfect sand dollar. Now, she lives in Seattle, Washington, with her husband and son in a castle in the sky. Her books include Boats for Papa and Before I Leave. 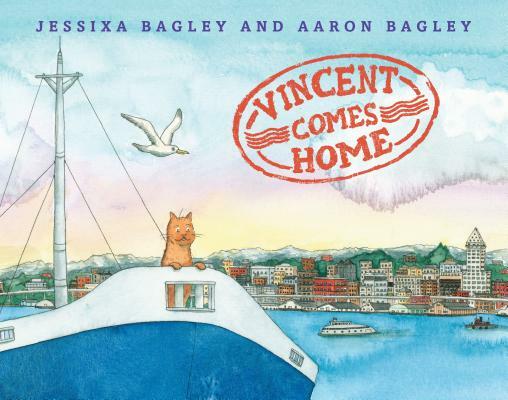 Aaron Bagley (illustrator of Rocking Fatherhood) has been drawing and writing with Jessixa Bagley (author and illustrator of Boats For Papa, winner of the 2016 SCBWI Golden Kite Award for best picture book text) since they met in art school more than a decade ago. What started off as a courtship of doodling in sketchbooks and belching in lockers soon turned into a marriage of doodling in sketchbooks and belching with their son.